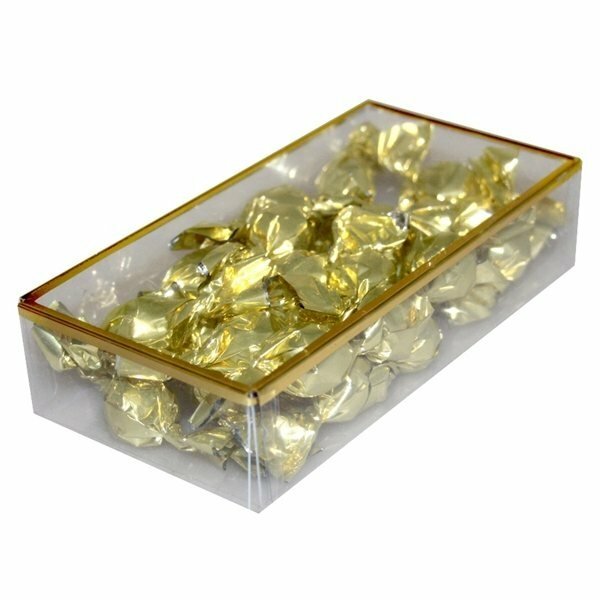 This gold foil outlined rectangle plastic box is a sure crowd pleaser. 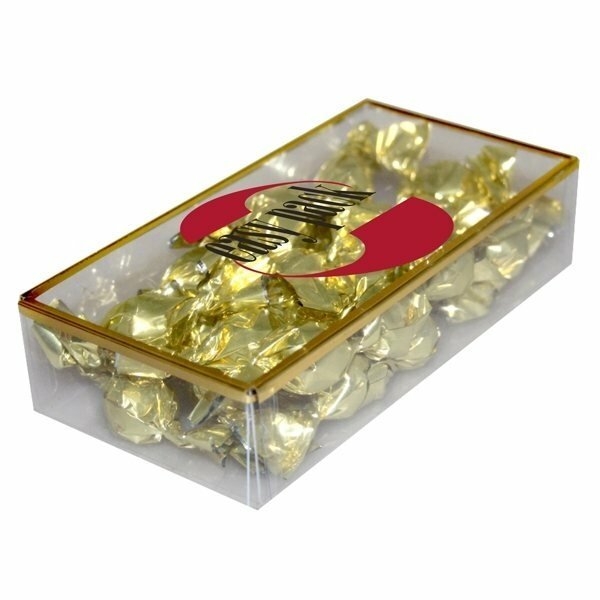 There are eight delicious gourmet chocolate truffles in each box. Each box comes with a 1-color Hot Stamp of your logo that adds the perfect finishing touch. Between the months of April-September we recommend Chocolate, Breath Strips and heat sensitive items be shipped in an insulated carton with cold packs. This adds $14 per carton. It will require 2-Day air shipment. Chocolate and nuts should be stored in a cool dry place. These were just like we expected - keep surprises away. They showed up clean, pressed, vibrant, and pretty.